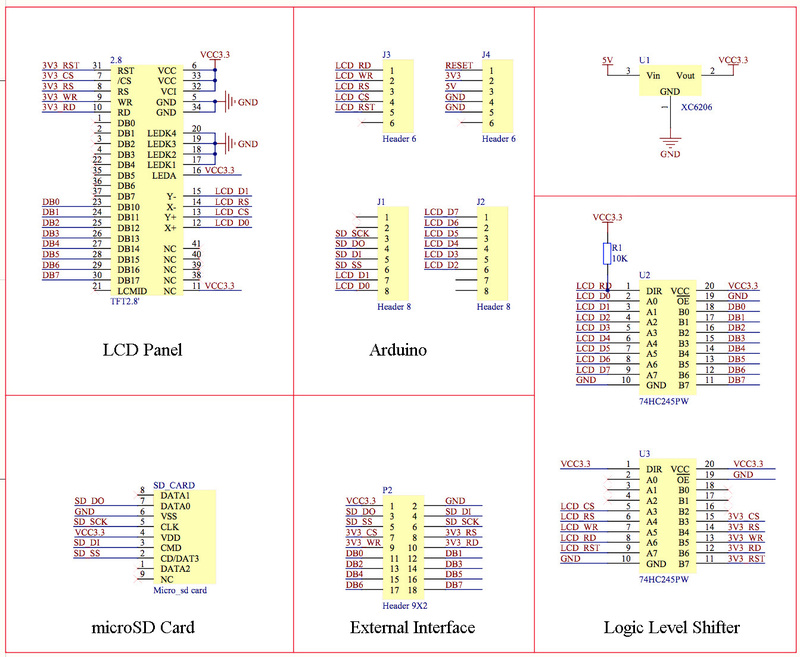 The schematics of my tft are: http://www.sgbotic.com/products/datasheets/development/02756-schematic.jpg . I am wondering if I can just use the A4 and A5 pins using the screw shield anyway since according to the schematics, the A4 pin is connected to the LCD_RST or is the pin necessary for displaying images taken from the SD card? If that isn't the way, how should I go about doing it, does anyone know? No, you can't just use it. While I2C itself may work, the screen will keep resetting itself all the time and will be useless. You may be able to get some luck with a software bit-banged I2C on other pins. However I would personally choose to modify the TFT screen's PCB and cut the LCD_RST signal from the A4 pin and connect a 10kΩ resistor to +5V, or re-route it to another pin. That way you can then use I2C. If the LCD is using A4/A5 for something besides I2C, than no you cannot. You May use I2C adapters as well as I2C cable joiners will be much useful and are specially designed for expansion of more than 1 I2C modules at the same time. Hope These Sheilds and Adapters will be helpful for you. I2C: What is the difference between A4&A5 and SCL&SDA pins?